haunebu02 shared this project on Thingiverse! 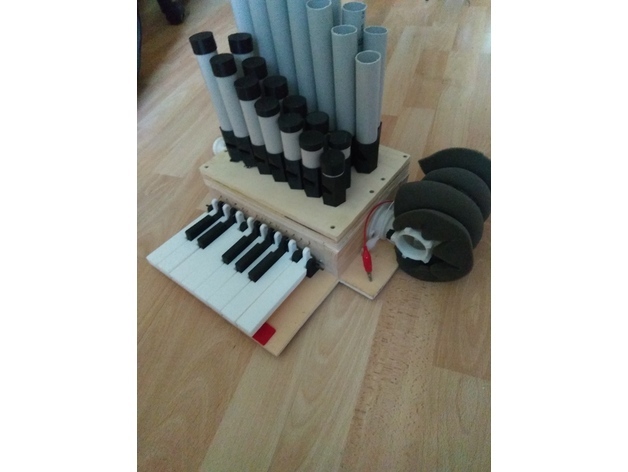 This is a Pipe Organ made of wood, PVC pipes, some screws, felt, very small 1/4 inch rubberbands, some steel wire, toothpicks and a 500 rc car motor and of course some 3D printing filament. Sorry that I can’t provide instructions because I’m just too lazy for that. But I provide all the files I have with this post. It’s playable, but the motor is pretty loud, so I suggest you to use another kind of wind supply.